Why I Chose Attraction Marketing Over Old School Recruiting Methods. I think the best way for me to share why I chose attraction marketing over old school recruiting methods is to just share my story & the facts with you today. First off…yes, this may piss off some “old school” MLM gurus. Yes, I will probably get some crappy comments on this post, but here’s the deal…… I know there are plenty of you out there that will 100% relate to exactly what I am about to tell you. For me, I just care about helping those who resonate with what I am about to share. When I first started in MLM back in 2010, I started out in a company that was selling weight loss products. I have always had a burning desire to change people’s lives and this product at that time was a great product to do just that. I think the buy in cost me about $375.00 to join. Funny thing is….back then I actually thought that was a lot of money to buy into a business and of course now with all of our success, I have to laugh, because honestly I would spend that 20x over knowing we could get the results we are getting today. I mean seriously you can’t even buy a business franchise for that….but that’s another story for another day. So, the “green” and “eager” new distributor I was, I did what my upline said to do in order to be successful. Invite, invite, invite, invite and never stop inviting. 1. Make a list of friends and family. Invite them to a conference call selling the business opportunity or products. 2. Make a list of the people I was scared to approach and invite them to the calls, because a for every no I get, I would get closer to a yes. 3. Make a list of all my doctors, lawyers, my kid’s friend’s mom, the bartender, the waitress, the insurance guy, the window cleaner, the mailman, the UPS guy, the dry cleaning guy, the cashier, the flower delivery guy, anyone that would or has been within 3 ft. of me. Hit those people up and get them on the conference calls or get them to the local meetings. 4. Go hangout at a Starbucks, meet people & show them the business plan. 5. Hand out sample to EVERYONE you know. Yes, the lady at doggie daycare, yes the dry cleaning guy, yes the bartender, yes EVERYONE! 6. Go to meet up groups and other meetings, collect business cards, pick up the phone the following week, cold call each and every person and invite them to see the business plan. 7. Post flyers up at the mall, in the restrooms, on the gas pumps, on cars at the gym, inside of books at the bookstore, you know the drill. Sound familiar? Ugh….I cringed, but I did it because I wanted to make this work. I didn’t want to go back to a 9 to 5 job and miss out on my kids growing up. So, I sucked it up and approached all these random people with a motive of getting them to a meeting or call. Damn….that was uncomfortable, now that I think back on it. In fact, I remember contacting all my old Facebook friends from elementary school, jr. high, and high school that I had not talked to in years. You know how it goes….. that fake conversation that you have to start with just to make it appear you aren’t just contacting them out of the blue to pitch them, even though you are. Something like that. You know copy and paste and change the names up. I did this over and over, every single day and I started to feel fake and somewhat like a cow herder pushing people through until I found a yes. It was exhausting! Sure I had a few sign ups here and there. I had a few jump on board to also promote. I think my biggest month was about $1200.00. Most of my downline couldn’t even recruit for the life of them not even their grandmother. Most were on a budget and the first thing to go was their auotship and you can probably guess what happened…they quit 1 month in! My check dwindled. So there I was again the next month….pounding the pavement repeating everything you just read above. The amount of people I had available to pitch each day was getting smaller and smaller by the minute. 1. It sucked to randomly reach out to people you haven’t talked to in years just to pitch them, knowing you probably never would have reached out to them, had you not of had a product or opportunity to pitch. 2. It sucked going to swim meets and instead of relaxing and enjoying my daughter’s swim meet, I was thinking about who my next victim was to invite to the next meeting or call. 3. Having my recruiting glasses on non stop to pitch my business and products to anyone within 3 feet of me was all I could think of. It was like everyone was fair game. Seriously I started to really question, my own integrity. Would I really be sitting here chatting with Mr. X if I didn’t have an agenda? It just felt dirty to me. 4. I pretty much lost all my connections with my friends on Facebook because they were annoyed with my constant status updates and pitching of my products and/or opportunity. I think the biggest realization for me was when we took a family vacation to the Bahamas and I was sitting there in a Cabana sipping my cocktail by the pool, after I had ditched “old school” recruiting methods and realizing this was how life was suppose to be. Relaxing in our very own private cabana, with our personal cabana boy and enjoying the time I had there with my family, not worrying about who my next victim would be. I was no longer desperate or in need of someone to talk to, because of attraction marketing people were knocking down my door. I was in control. People were seeking me out to join me in MY business. No longer was I chasing. Do you know how liberating & empowering that is? No more getting rejected over and over again. I felt FREE! My new found freedom was all because of one simple strategy Attraction Marketing. While on the verge of quitting, I went to the internet and ran across a guy that was talking about how he recruited over 1732 people in one month, into his MLM, all via this one simple strategy, attraction marketing. He made some bold promises, that once I understood this concept, I would never have to chase people again. I would never have to call a lead again and people would be knocking on my door to join me in my business. Yes, I thought it was hogwash, but I was intrigued because I needed a different method, as I was exhausted from “old school” techniques and my team had dwindled down to just a few remaining reps who were hanging in there by a thread. To this day, I am thankful for my curiosity and desire to keep going. I stayed up all night studying what attraction marketing was and is today from a ebook that I had bought for ONLY $47. I would say that was $47 well spent. I realized I had basically been lied to by my upline. 1. It’s not really a numbers game like my upline said. Okay so it is somewhat a numbers game but my numbers stunk! Plus with obtaining those numbers came embarrassment. I discovered there was a way to recruit without all the rejection and embarrassment through attraction marketing. 2. I am not just one recruit away from a massive explosion in my business. Look Bill & I were freaking top recruiters in our MLM and we never won that lottery ticket of a massive explosion. I didn’t sign up to play the lottery….I signed up to build a profitable business. I realized after studying attraction marketing that I didn’t have to fill the leaking MLM bucket anymore…instead my bucket was getting filled automatically. 3. Do what the big MLM leaders did to build their business, which is pound the pavement and you too will have success. These big MLM leaders they were referring to were the BIG wonders of the 80’s & early 90’s. Hello what century are we in now? Those tactics may have worked back then when the internet wasn’t really around, but today it’s a whole different ballgame and I realized after studying attraction marketing that my suspicions were true…there was a better way. Let me just say right now…if you have made it this far in the post I can assume you aren’t arguing with me yet? I have no doubt there are probably some great MLM recruiters out there that still do it “old school” but I can assure you they are far few and between. Plus if they tell you they are ONLY “old school” I may would venture out and say they are lying to you and I bet they are using the internet. Again….another blog post at another time. Bottom line…there was no need for me to keep pounding the pavement when I could leverage automated systems to do all the heavy work for me. Attraction marketing systems that could get me more, leads and sales in my business without me ever having to pick up the phone again. Because of attraction marketing we no longer make cold calls, people contact us to join us. 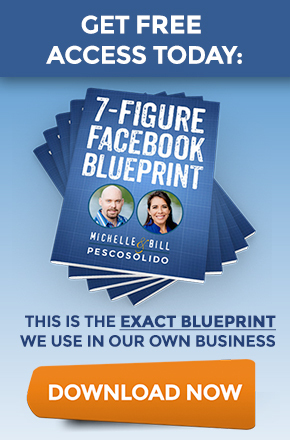 We can easily now take any business online, specifically on Facebook and instantly build it into a 6 figure income producing business. Yes, any business. Yes we generate 100’s of leads a day now because of attraction marketing. No we don’t chase people around anymore or hand out cheesy fliers. Yes we made over $100k our very first year using our new found strategy, attraction marketing & have now gone on to make over a million dollars online, plus we are about to have our first 7 income figure year. After one year of discovering attraction marketing, my husband was able to retire from his corporate america job where he is now also a rockstar in our business. We travel the world to the most amazing exotic locations I would only dream of traveling to, before we discovered attraction marketing. We get to watch our kids grow up every single day and not have to watch from the sidelines during the day because we are not strapped to a 9 to 5 job. We can easily pay cash for our pool we are currently building, heck pay cash for pretty much everything now. We no longer struggle with finances or finding time to do what we love. All because of attraction marketing. A concept I want to encourage you to learn more about, if this at all resonates with you. If you are looking for a way to finally have a record year in your business. I am telling you this changed our life and I can tell you this…..my good friend, Ferny, has put together a FREE 10 day bootcamp on attraction marketing, that you MUST check out today if you are ready to kick rejection to the curb and start finally becoming a success story in your business. I don’t care whether you are in an MLM company, an affiliate marketer or whatever the case may be….if you need leads for your business and you are tired of cold calling and chasing people around this attraction marketing 10 Day Bootcamp will be a wealth of information for you!